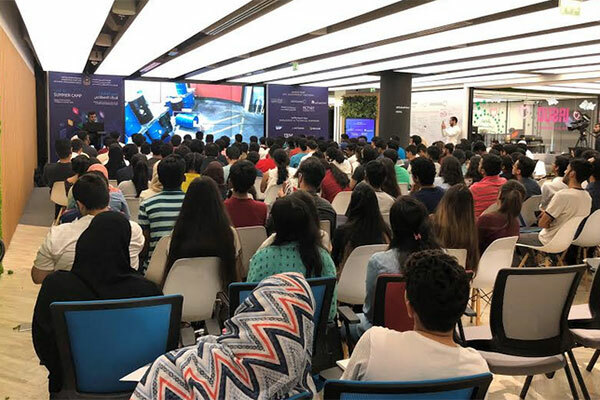 Microsoft this week began its training sessions at the region’s first AI Summer camp that aims to develop mechanisms to apply the UAE Strategy for Artificial Intelligence in Dubai at the Dubai Future Accelerators Hub. Announced in May this year, the UAE AI Summer Camp is a one of its kind initiative that is built to support the efforts of knowledge transfer and building a generation capable of adopting advanced technology in developing solutions for various future challenges. The camp’s objective is to promote the concept of artificial intelligence and build capacities of government staff and national youth in the field of AI. This is in collaboration with Learning Partner Koenig Solutions, as Microsoft kicked off sessions at the summer camp’s Dubai Future Accelerators Hub, hosted by Dubai Future Foundation that is being held at Jumeirah Emirates Towers. The workshops, that will continue from 8- 12 July, are divided into two batches. The first batch that will take place in the mornings is focused on covering an overview and basics of artificial intelligence for those with no coding experience. While the afternoon sessions are for advanced learners and will cover the fundamentals of AI, including applying coding and machine learning scenarios. “Experts forecast that 85 percent of the jobs that will exist 2030, do not exist today, while a study released by the UN shows that AI could help develop 21 million jobs in future,” said Necip Ozyucel, Cloud & Enterprise Group Lead, Microsoft Gulf.